Let’s exclude the technical aspects of marine electrolysis formation and concentrate on how it can be prevented. Of course it is important to understand this phenomenon (click here to learn more), but our intention is provide the benchmarks that will assure success towards boat metal parts preservation. Marine electrolysis can be avoided in most cases combining practical techniques, but most importantly through monitoring. Underwater monitoring and anode replacement is not enough; complementary external and internal boat inspections are essential to have all your bases covered. Make sure that bonded thru-hulls, underwater lights, trim tabs and other boat parts remain properly connected and the wires in good shape. Perform inspections carefully and regularly. Search for power cords in contact with the water around your boat and make sure to pull them out if so. Meet your neighbors; find out if their boat metal parts are electrolysis-free and if they are well maintained vessels. 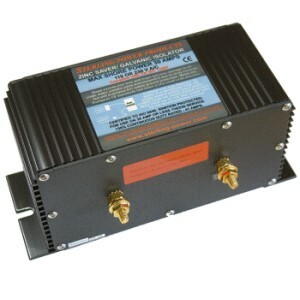 Using a Galvanic Isolator is a great way to isolate your vessel from others; blocking low voltage DC currents coming on board your boat through the shore power ground wire. Just make sure that the selected equipment meets the ABYC (American Boat & Yacht Council) specifications. It is important to understand that different marinas, docks and slips create particular electrolysis environments and boat metal parts are affected differently. It is almost impossible to establish a pattern when measuring marine electrolysis. Each case should be taken on an individual basis. 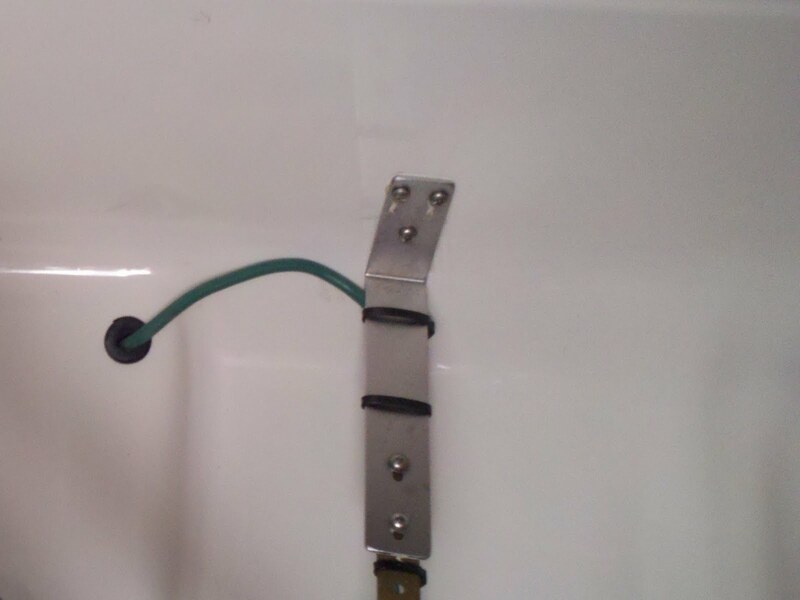 Underwater zinc monitoring is King when it comes to electrolysis prevention. It is recommended to replace zincs at 50%. Zinc monitoring involves a meticulous evaluation of each zinc: mass, installation and electrolysis reaction. Zincs must be brushed during the hull cleaning visit to determine how much zinc life is left. The contact between metals (zinc/boat metal part) must be spotlessly clean. Maintain original manufacturer zinc configuration, do not overload the system. "Make sure your diver understands the basics of the electrolysis process"
This is a great article. Very helpful for a novice boater. Despite showing a zinc on their website there is NO provision to fit one to your new propeller. ... The propellers had NO provision to fit a zinc anode...boat anode Sacrificial zinc anodes for sale. Order your sacrificial zinc anodes today and save. All size zinc anodes available for shipment today. For keeping boat perfect and it's ability needs this one. So thanks for sharing. zinc anodes for sale Zinc anodes for sale. Order your sacrificial zinc anodes today and save. All size Zimar zinc anodes available for shipment today.